Designers Marcus Wainwright, left, and David Neville greet the crowd after the presentation of the Rag & Bone Fall 2013 fashion collection during Fashion Week, Friday, Feb. 8, 2013, in New York. Rag & Bone co-founders Marcus Wainwright and David Neville are no longer the cool newbies to the American fashion scene. They've graduated to be the even cooler tweens, with loyal followers and a path in front of them to expand their brand and be industry leaders. Growing up might have its challenges, but after 11 years, it's time, and they still see the window of opportunity they saw when it started. They've even inched it open a bit more. "People wanted new fashion," says Wainwright. "They wanted the new clothes they could wear and were coming out of New York. It was there for the taking and it is there for taking." Their look, offered for both men and women, is decidedly modern and downtown but built on classic menswear tailoring — not the kind of kooky styles that sometimes brand themselves "downtown." Rag & Bone started in 2002, was a finalist in the Council of Fashion Designers of America's Vogue Fashion Fund contest in 2006 and won the CFDA's emerging talent award in 2007. 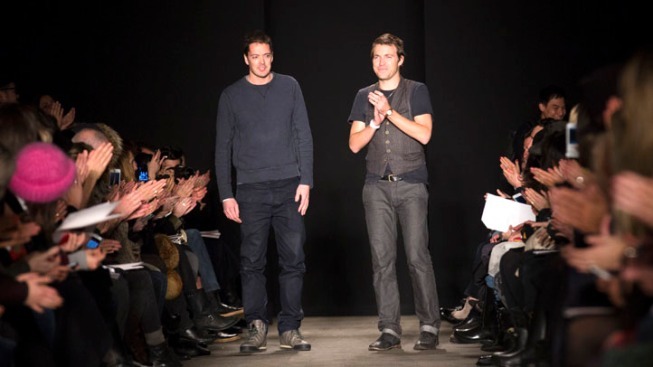 Wainwright and Neville were named best overall menswear designers in 2010. Freestanding retail shops began opening in 2008, with flagships here and in Washington, Boston, London, Los Angeles, Tokyo and Seoul, South Korea. Their clothes are available in 39 countries. When they show during New York Fashion Week, it's a star-studded front row that's attracted Gisele Bundchen, Charlize Theron and Drew Barrymore, and the clothes are considered a bellwether of trends. Even now, though, when life should be a little more relaxed and a lot more glamorous, there are doses of reality. When needed, Wainwright says, "I've airbrushed T-shirts, filled out UPS forms. ... We can relate to struggles." 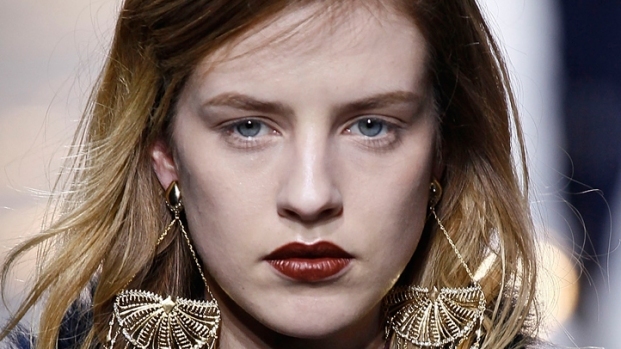 Steven Kolb, CEO of the CFDA, has long been a fan, especially of the duo's commitment to mentoring new talent. "Marcus and David are the same people today that they were when they were just starting out. They are still wide eyed and humble," says Kolb. "Success hasn't gone to their heads." Kolb also is a personal fan of their youthful, tweaked take on gentlemanly style. "I wear a lot of it." Life hasn't turned out quite as originally planned, or, maybe more accurately, unplanned. He decided to start a fashion company and called upon Neville, 37, who was working as a banker, to be his partner. "I was young enough and dumb enough to give it a go. It's worked out pretty good," says Neville, laughing. They keep duties fairly well divided now, with Wainwright designing and Neville handing the business side. They say they get along as well now as they did then. "We wouldn't be sitting here if we didn't get on the way we do," says Neville, who is married to makeup artist Gucci Westman. The Rag & Bone office is bustling, with many more people inside than one would think could fit in an unmarked Meatpacking District building. It's important, they say, that the workplace, with upward of 300 employees, maintains an upbeat vibe. "The general spirit of Rag & Bone is to be a good place to work, to come in on a Monday morning and be inspired," says Wainwright. "If it's not fun, there's really no point in doing it." The old boarding-school friends share an office that's decorated with photos, including one of them on ad campaign shoot with Kate Moss and one of a real rag-and-bone man, which, they explain, was a 19th century traveler who'd collect rags and anything he thought he could sell along the way in the English countryside. He certainly was never rich or powerful, but, for the most part, he was considered honorable, Neville says. Neville and Wainwright have done pretty well for themselves — keeping a fridge in the office stocked with the Italian beer Peroni, mingling with models, and owning houses in the Hamptons, which is where, they say, they go with their families to enjoy any down time they might have. It's just a day here and a day there in this run up to the preview of the newest collection in September. Their broods are close, and often spend weekends together. "It's pretty amusing. We had our first children a week apart in April 2007. Those two boys were born when we employed about 20 people. Obviously it was a huge coincidence, and a pretty interesting and amazing life experience to go through together," Neville says. "My son was born and I took one week off work, and Marcus' son was born, and he took one week off work, and then we got back to it. The business was basically us, and it still is."